Date & Time Details: We will be meeting in the morning of March 21st to start our journey together and will close in the late afternoon on March 24th. More details coming soon. Due to low enrollment the Empowering the Feminine Cycle course March 21-24, focusing on body literacy and the Fertility Awareness Method, has been canceled for the time being. We are still working to move forward with the 1-month teacher training in March 2020. 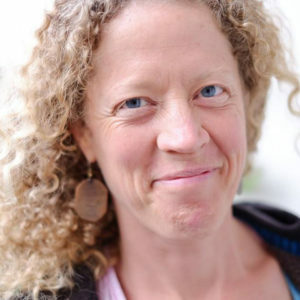 If you are inspired to join for this teacher training in 2020, it’s important to establish a personal connection with the Fertility Awareness Method as taught by Sarah Bly. Since we will not offer the 4-day course this March in preparation for this, Sarah will be offering an online course which includes 5 Wednesday evening sessions in April/May 2019. Sarah is offering scholarship for those joining in preparation for the teacher training with us in 2020 here in Peru. 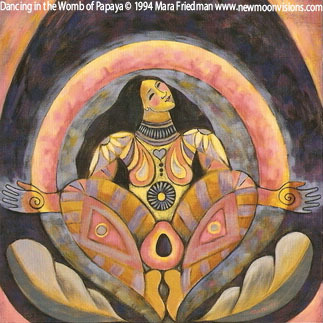 Knowing our bodies and watching the tides of our fertility is extremely rewarding and empowering – Both in making empowered choices with a partner around conception as well opening the doors to deepening our connection with mother nature and the cycles of life and creation we are woven into. Fertility Awareness (FA) is one way of gaining insight into the beautiful and intricate ways of a woman. Using Fertility Awareness Method (FAM) while in a relationship gives you the power of having your reproductive choices in your own hands; not relying on chemicals, devices, doctors or pharmaceutical companies. The FAM is a natural form of birth control that has no side effects. It allows you the opportunity to consciously choose when and if you want to be a parent. FA has evolved greatly from past, less effective methods and studies find the FAM (as will be taught in this course) to be as effective as most hormonal contraceptives. Fertility Awareness can increase personal intimacy as you become more aware of your body and sexuality and can also increase the intimacy between partners as it takes away the artificial barriers between you and lessens the fear of unwanted conceptions. In a time when increasing environmental illness abounds and our earth has suffered greatly from the mistakes of modern culture, we have an opportunity with every choice we make and every product we buy to shift towards a sustainable future. Using a non-chemical form of birth control is just one small gift we can offer our planet. This course will be held in English with Spanish Translation and both English/Spanish materials. The curriculum for this 4 day intensive includes the history of Fertility Awareness Based Methods (FABM)’s in North America and Europe, current statistics, uses, benefits and contraindications. We cover the basic anatomy and physiology of the female and male reproductive cycle and focus on the primary bio-markers of fertility; cervical fluid changes, cervical position and basal body temperature. Time is spent discussing body literacy during phases of the reproductive years from menarche through menopause and the many possible events within. We cover the rules for contraception and their effectiveness ratings, the key indicators of fertility for pre-conception, using FA during breastfeeding years and while coming off hormonal contraception. Time is spent interpreting charts and assessing for endocrine pathology and imbalances as well as discussing basic diet and lifestyle choices to support optimal endocrine health. All while drawing connections to our interconnection to the cycles in nature and how we can deepen our connection to all life through knowing ourselves deeper. Learn the rules for using FA for successful contraception and how rates as high as 99.6% effectiveness are achieved. Become aware of the variations of the FA practice while used during the many phases of the reproductive years, including coming off of hormonal contraceptives, breastfeeding, peri-menopause and anovulation. Learn simple diet and lifestyle tips that provide tools for a lifetime of living in support of the endocrine system. Learn to interpret and assess FABM charts for contraception, conception and gauging of gynecological and endocrine health. This course is a pre-requisite for the Fertility Awareness Method Teacher training in happening in the Sacred Valley in March/April of 2020, however you do not need to be on track for the Teacher Training to attend this program. This will be a very special teacher training opportunity for those who are inspired to share this wisdom with others. Usually the course is held in a two year format but due to the calling to make this wisdom more available here in Peru Sarah Bly has offered to offer the training in a condensed 1 month format! All international students who attend this training will sponsor at least one Local Peruvian to participate in the training! If you are interested to receive updates about this Teacher Training please contact us. If you are interested in the teacher training and can not participate in this course, Sarah will also be offering an online course where the pre-requisite can be met. We will be meeting in the Sacred Valley about once every month or two after the course until the teacher training in 2020 to share our journeys incorporating the practices into our daily life. For those not based in the sacred valley we will do our best create the option to join virtually. Follow up meetings are optional but strongly encouraged for those on track for the teacher training. We ask that all participants join for the full program. Each day will start in the morning and close in the evening. Staying onsite and joining for meals is optional. Please see add-ons below. In addition to covering the cost of offering this course, your participation will also sponsor at least one local Peruvian to join on Scholarship! Donation based (suggested donation 150 soles). Since there are many socio-economic situation here in Peru we will meet each participant where you are at. Please let us know what you can afford. If you are inspired to join this program we will not turn anyone away. Extend your Journey – Join our friends at Reviveolution for 5-days following the course to work deeply with the Q’ero indigenous lineage and continue to deepen these teachings. More info here: Applied Andean Wisdom Retreat For those participating in both retreats we are offering a special $75 discount ($25 off Empowering of Feminine Cycle and $50 of Applied Andean Wisdom). Discount will be applied after your application has been accepted for both programs.